Italy’s Igor Gorgonzola Novara’s Celeste Plak has announced the renewal of her contract with the team for the 2017-18 season. The Dutch player is nearing the end of her third season with Novara, where she has formed herself into one of the team’s top players. This season, Plak has posted 418 points in the Italian Women’s League that has included 353 kills, 46 blocks and 19 aces. The team was also a strong fixture in the 2018 CEV Champions League, where Novara made it to the Playoffs 6 before losing to Galatasaray SK Istanbul in four. In the competition, Plak posted 90 points for Novara. The renewal of Plak’s contract will keep the team’s spark going for the next year. 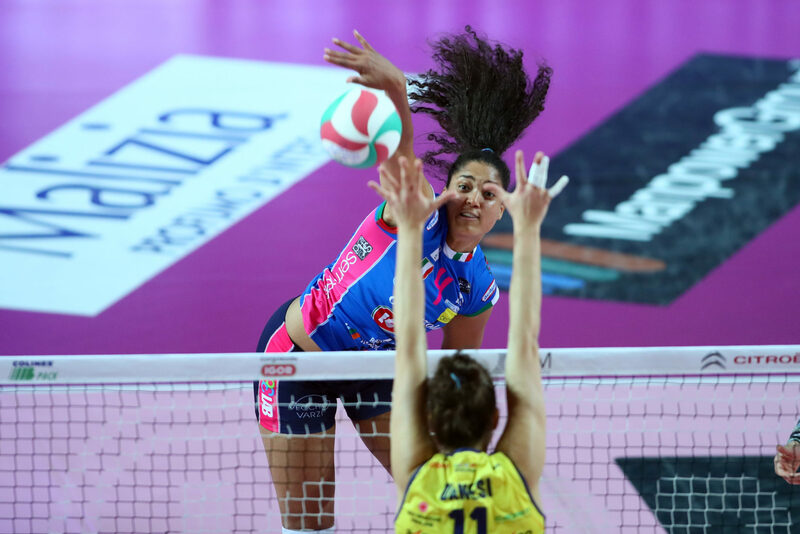 Novara was the top-seeded team in the Italian League following the main season, giving them Firenze in the first round, winning 2-0 in the best-of-three series. Now, they are up 2-0 on Busto Arisizio in the semifinal series. Plak is surrounded by a number of talented players in Novara, with up-and-coming Paola Egonu reinforcing her on the court, along with Lauren Gibbemeyer. Should Novara win their league title they will set themselves up to compete in the 2018 CEV Champions League – with the hopes of making it to the Final Four.